LOQI makes super-reusable, extra-loveable backpacks, bags, zip pockets and luggage covers. Their products are also just like you and me: great looking, smart and dependable. Not to mention all products are OEKO-TEX® certified and Intertek accredited. 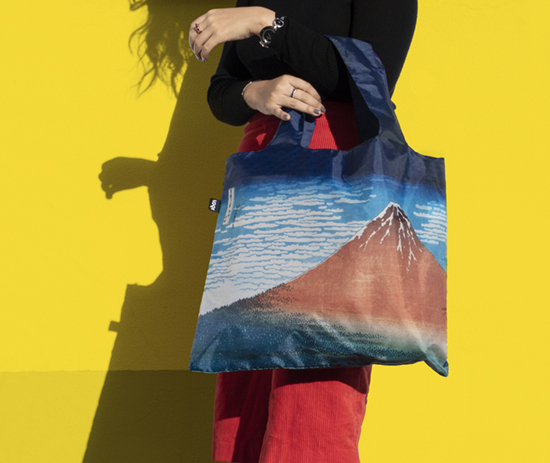 The LOQI Artist Collection features designers from around the world, to bring you a wide range of the most original designs possible for their products. The LOQI Museum Collection brings together works of art from museums such as the MoMA, Rijksmuseum, The National Gallery and TATE. Featuring works by Van Gogh, Vermeer, Richter, Hokusai and Malevich—among others, it is a very carefully curated collection. Love art? Love LOQI.